TOKYO, Jan 22, 2019 - (JCN Newswire) - Fujitsu Limited today announced that the Fujitsu Group has been selected for the CDP's A List for climate change for the second year in a row, earning the highest rating in the CDP's evaluation of corporate activities in response to climate change. The Fujitsu Group aims to create a prosperous and sustainable society by putting into practice its medium- to long-term environmental vision, the Fujitsu Climate and Energy Vision, and contributing solutions to societal and environmental issues. Fujitsu plans to decarbonize its own business by 2050 using ICT, while working to mitigate and adapt to climate change through its business activities. CDP is an international non-profit organization that surveys companies about their responses to climate change on behalf of institutional investors that have total investment assets in excess of $87 trillion. 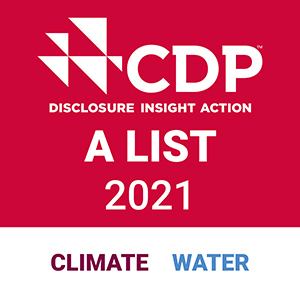 CDP assesses companies on the comprehensiveness of their disclosure, their awareness and management of environmental risks and their demonstration of best practices associated with environmental leadership, such as setting ambitious and meaningful targets. The Fujitsu Group laid out its medium- to long-term environmental vision, the Fujitsu Climate and Energy Vision, in May 2017. The group is working to achieve both zero CO2 emissions from its own business through the use of AI and other technologies that support digital transformation. Also, the group is taking measures to mitigate and adapt to climate change through its business activities by contributing to such efforts as the construction of more resilient social infrastructure and the creation of a decarbonized society. By achieving this vision, the Fujitsu Group aims to further promote responses to climate change, creating a prosperous and sustainable society.